Recent changes to my work assignment in Egypt put me living in the US in October 2013, the time previously identified to climb Mt. Kilimanjaro. As a result the climb has now been scheduled for the last week of July 2013. Some detailed of the expedition have already been set!! Overall value of services offered. The expedition route has been selected: 8 day Lemosho route with a Western Breech approach to the summit! Preliminary talks with the charities have begun and even some donations have been collected. Team members. So far its just me 100% confirmed for the expedition, a couple of friends are deciding if they will be able to join. It will go on even if it is just me. Cost of trip will be aprox $3,000 + gear rental + flights. Post climb multi day safari in Tanzania optional. Friends, if you are interested in taking part of this expedition please contact me for more information! I am looking for a few determined team members to climb the highest free standing mountain in the world with the intent of raising funds and awareness for underprivileged kids with disabilities in Colombia! Friends, family, fellow adventures, fellow activist and philanthropist, the time has come. Climb for Colombia will become a reality in 2013! Climb for Colombia is a 100% for charity expedition to the summit of Mount Kilimanjaro; the highest mountain on the African Continent and the highest free-standing mountain in the world at 5,895 metres or 19,341 feet above sea level! The goal of Climb for Colombia is to bring together a group of passionate and adventurous friends from all over the world to raise funds for some of the less fortunate kids of Colombia, while enjoying the adventure of a life time! Each expedition member will raise a minimum amount of funds that will be donated to a Colombian based kids charity. The partner charity(s) and the minimum fundraising requirement will be announced at a later time. All funds collected in the name of Climb for Colombia will go to the designated charity. Expedition members will completely fund their trip (expedition, transportation and food) personally. The expedition will wake place the 2nd and 3rd week of October 2013. This time window brings together a number of advantageous elements. 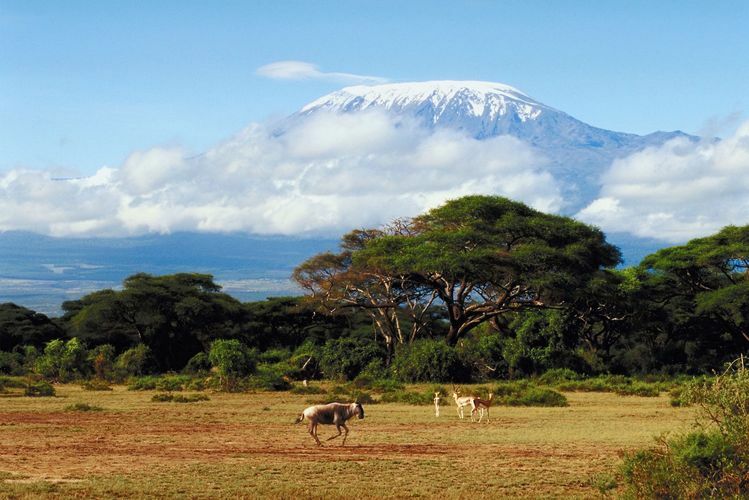 October is an ideal month to climb Kilimanjaro. The 3rd week of October has a full moon. October 14th is a federal holiday in the US, Colombia and Egypt. The climb itself will last between 7 and 9 days using the Machame, Shira or Lemosho routes. The expedition guiding company and exact route has yet to be chosen. There will be also several options to take private group safaris before or after the climb in the Tanzania, Kenya and East Africa Regions. The Serengeti National park is very close by and considered one of the top African wildlife parks! Make no mistake, this is not your easy hike. While no advanced technical climbing skills are required, Kilimanjaro has a summit success rate of less then 50%. To climb to 5,895 metres/19,341 feet it takes a lot of physical and mental will power. The good news is that almost any one can summit with the right conditioning! What happens next is up to you, either as a supporter or an expedition member! The climb will take place one way or another, the question is if you will be part of it! Friends and family and potential sponsors, if you are interested in supporting this great cause and expedition please contact me at Andres@ClimbforColombia.com. There will be a limited time to take on new expedition members! If you have any questions please don't hesitate to contact me, additionally check out www.UltimateKilimanjaro.com. Its a great website and one of the potential expedition tour guide companies we will use. Stay tuned for more announcements and information! Climb for Colombia. An expedition to the highest peak on the African continent; to benefit the kids of Colombia! Under Construction, please check back soon for more information and how you can make a difference! Alternatively contact me to express your interest in participating.